Laika Studios in Portland, OR, is an artist’s playground. Here, costume designers, puppet masters and other creative types bring wondrous characters and worlds to life through stop-motion animation. 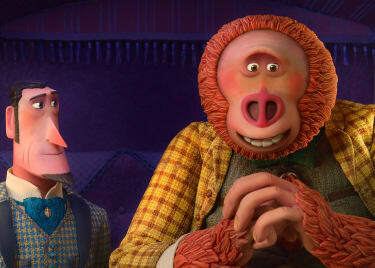 Since opening their doors in 2005, Laika has made four award-winning films in this unique cinematic style, and their fifth endeavor, MISSING LINK, releases April 12. 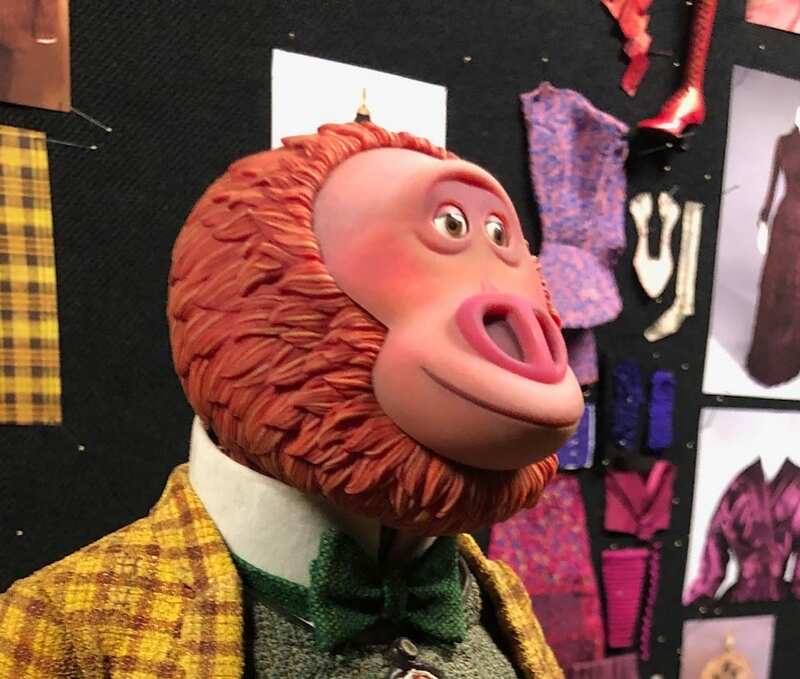 AMC got to go behind the scenes at Laika Studios to learn about the making of MISSING LINK, a worldwide adventure director/writer Chris Butler calls their “boldest, brightest, most colorful” creation yet. 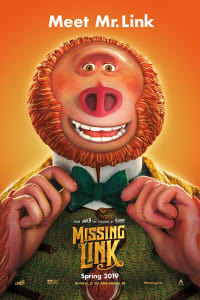 MISSING LINK follows the last living remnant of our primitive ancestry, Mr. Link (Zach Galifianakis), a lonely, Sasquatch-like creature. 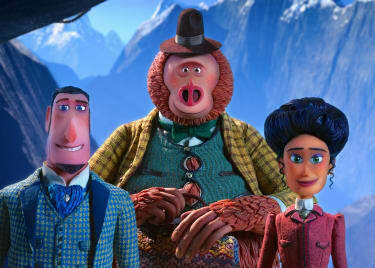 To find his supposed distant relatives, the Yetis, Link enlists the help of Sir Lionel Frost (Hugh Jackman), the world’s foremost investigator of myths and monsters, and his partner, Adelina Fortnight (Zoe Saldana), who possesses the only known map to the group’s secret destination: the fabled valley of Shangri-La. Butler shares about his talented cast and the filmmaking process in the video below. 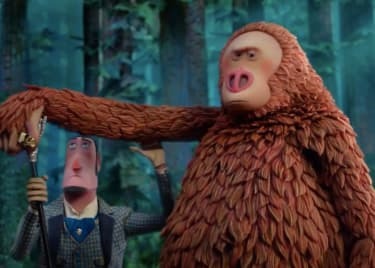 Set during the turn of the century, MISSING LINK required a lot of up-front research to ensure the character and set design stayed true to the era. On top of that, the costume department had to build their own fabrics, essentially from nothing. Each piece was handmade, and then embroidered digitally. Some materials were hand-painted to get the effect they wanted. Using 1890­–1910s textiles as references, the costume department designed everything from the characters’ hair styles to accessories — but their biggest inspiration was the MISSING LINK script. “That’s part of the big costume story, is finding the costume that supports the character and their emotional arc of the story, and how they interact and play act against other characters as well,” costume designer Deborah Cook said. 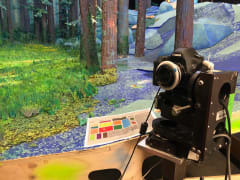 In stop-motion animation, characters are physically built and shot one frame at a time inside miniature worlds before they’re digitally manipulated. One character, or puppet, has hundreds of components that are based on our own anatomy — how our joints move, how we breathe with our bellies, how we express emotion in our faces and body language. “We try more and more to bring life through the center of it, from within,” creative lead John Craney said. Craney described Mr. Link as “a superstar of soft engineering.” Standing at 14 inches tall and weighing 6 pounds, Link determined the scale of the rest of the characters — and required a lot of support from the rigging department, which is responsible for creating the illusion of movement on set. According to head of rigging Ollie Jones, they had to increase their normal infrastructure by 150 percent just to handle Mr. Link’s size. When it comes to building characters/puppets, Laika Studios are pioneers. In their film CORALINE, they became the first studio to replace animation with 3-D printing technology. “Every film, we’ve sort of continued to push the technical boundaries and also the creative boundaries of what 3-D printers can do,” director of rapid prototyping Brian Mclean said. For MISSING LINK, Mclean’s team had to move to an entirely new technology — resin color printing — “because of Lionel’s nose.” (There are roughly 70 pieces to Lionel’s head alone.) Using hardware from Stratasys and Laika’s own proprietary software, the rapid prototyping department was able to print 106,000 faces for the film, which are connected and changed out via magnets. We got to (literally) peel back the layers of the characters. The character design led the overall design of the film, according to production designer Nelson Lowrey. “The characters are extremely stylized, more so than any film we’ve done to date,” he said. Of course, director/writer Chris Butler had a vision in mind before they started creating. He loved the look and feel of National Geographic from the ‘40s and ‘50s, which was “super colorful” and is certainly reflected in MISSING LINK. Hear more from Butler in our one-on-one interview below. “We want each film to have an individual sort of color fingerprint,” Lowrey said, but his team took things a step even further. In this film, each set has its own color palette of three–four colors, chosen for specific environments. The stop-motion style does have limitations, however, especially with elements you can’t physically and realistically move, like fire or water. That’s where the visual effects department comes in. At Laika, that’s an exhaustive process. The VFX team works hand in hand with all of the other departments to ensure their digital additions and expansions are cohesive and photorealistic. And with all of the cleanup the team had to do for MISSING LINK — including painting out all of the split lines on the puppets’ faces — editing four–five seconds of footage took a week, on average. 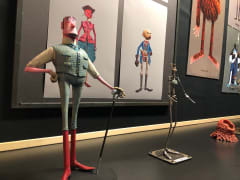 That is the ultimate goal at Laika Studios: “to make the audience believe and connect with the characters,” director/writer Chris Butler added. You’ll be so enamored with MISSING LINK, you’ll forget they’re puppets! Get your tickets today at AMC.